Billionaire Mukesh Ambani on Friday emerged victorious in the battle with younger brother Anil with the Supreme Court rejecting a plea for cheap gas, saying a national asset should be priced only by the government. A three-judge bench headed by Chief Justice K G Balakrishnan, who demits office on May 11, said that the Ambani family MoU that seeks to divide gas between group firms of the two brothers was not binding, both legally as well as technically. The Apex Court asked the group firms of the warring siblings to sit together within six weeks and rework within the next eight a gas supply agreement in conformity with the government policy. The government has already fixed the price of gas from RIL's KG-D6 fields at $4.20 per mmBtu, compared to the $2.34 per mmBtu sought by Anil Ambani group firm RNRL. However, there was a minor difference within the bench with Justice B Sudershan Reddy holding that the MoU was a private pact, which cannot even be considered, while the other two said it could be a basis for negotiations between the two for a new agreement. The MoU is part of the Ambani family settlement reached in June 2005 for dividing the Reliance empire between Mukesh and his younger brother Anil. Welcoming the judgement, Petroleum Minister Murli Deora, whom Anil had accused of siding with Mukesh, said: "The Supreme Court verdict upholds the fact that gas belongs to the government and the people. No matter what campaign one ran against the government, the nation is supreme." 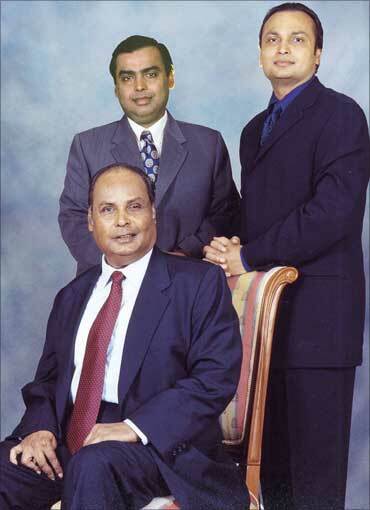 Image: Mukesh Ambani (L-standing), Anil Ambani (R-standing) and Dhirubhai Ambani (seated). Anil, who sat through the pronouncement of the verdict, later said he RNRL has "currently" no plans to seek review of the verdict and was looking forward to renegotiation of the gas deal with RIL as per the court's directive. RIL said it would start negotiations with RNRL, but would not be able to give gas for 17 years as demanded, because the life of the field was 11 years. "The price will have to be $4.20 per mmBtu," RIL Executive Director P M S Prasad told PTI. 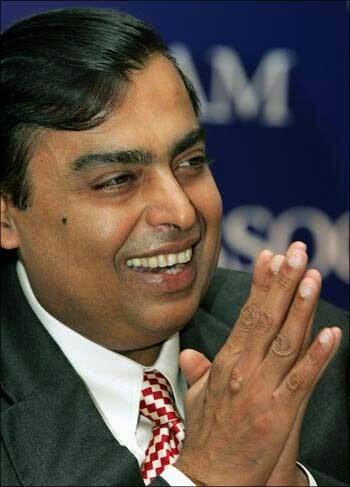 Shares of Reliance Industries rose 2.3 per cent to Rs 1,033.85, while RNRL was down 23 per cent at Rs 52.75. Reading out the verdict, Justice P Sathasivam said: "The MoU was signed as a private family arrangement between two brothers, Mukesh and Anil, and their mother (Kokilaben)... MoU does not fall under the corporate domain. "It was neither approved by the shareholders nor it was attached to the scheme (of demerger of Reliance). Therefore, technically, the MoU is not legally binding." Chief Justice Balakrishnan and Justice Sathasivam said: "MoU was definitely the instrument which was the basis of the scheme. Therefore, it can be used as an external aid for the interpretation of suitable agreement." Justice B Sudershan Reddy, who replaced Justice P Raveendran after he recused himself citing conflict of interest, however, differed, saying that the MoU should not be taken into consideration at all. He also suggested that negotiations should commence within eight weeks and should be concluded in the next six. Besides the price, the government has fixed users for over 90 mmscmd of output from KG-D6 fields. 64 mmscmd of this is on long-term basis and the rest is temporary. 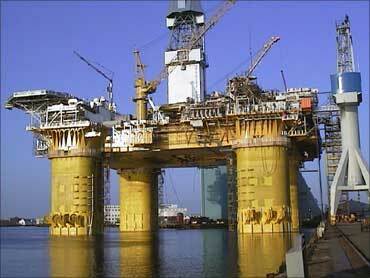 RIL's current output from the fields is 62-63 mmscmd. RNRL had approached the Supreme Court last year seeking a direction to RIL to implement the Bombay High Court order that had asked the two to amicably rework the gas supply agreement. The court said that "the terms of the Production Sharing Contract will have over-riding effect; The parties cannot violate the policy of the government in the form of the Gas Utilisation Policy and national interests." 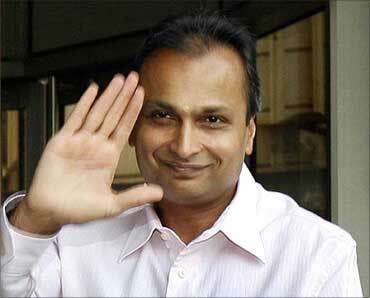 The Ambani family MoU was worked out in June 2005 as part of division of the Reliance business empire, less than three years after death of Ambani family patriarch Dhirubhai. As per the settlement, the energy and petrochemicals business went to Mukesh and the power, financial services and telecom business to Anil. Anil group firm RNRL sough gas from RIL for firing group firm RPower's proposed 7,800 MW power plant in Dadri, Uttar Pradesh. While RIL is the contractor of the KG-D6 fields, the court made it clear that RIL did not have absolute marketing right over gas. "Which side the judgment has gone? I am not making any comment on that. But it is very clear that the stand, which was taken by the government, particularly the Petroleum and Natural Gas Ministry, has been vindicated and reiterated by the Supreme Court," Law Minister Veerapa Moily told reporters. Power Minister Sushil Kumar Shinde said that the RIL-RNRL verdict had no bearing on the gas supply dispute between NTPC and Reliance Industries. The rate RNRL is claiming is the same that RIL had bid in a 2004 NTPC tender to supply 12 million standard cubic meters per day of gas to the state utility. The RIL-NTPC contract could not be concluded over differences on terms and NTPC has dragged RIL to Bombay High Court seeking performance of the contract. Buying your dream home? Remember these 5 points!